BERLIN - A divided nation grappling with rising inequality, new mass media and the growth of populist politics. Germany’s first democracy, the Weimar Republic of 1919-1933, has long been regarded as a lesson in political failure. Lately, it has also been held up as a cautionary tale for the present. It emerged from the ruins of World War I, as a defeated nation tried to reinvent itself in the midst of economic and social turmoil. It ended with Adolf Hitler’s Nazi party seizing power, persecuting minorities and leading Germany into another calamitous war. 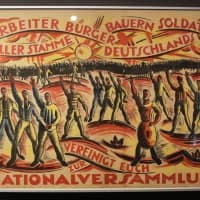 A new exhibition in Berlin, 100 years later, is questioning the perception that the era’s political and economic disaster was inevitable and stressing the lasting impact of the Weimar Republic. 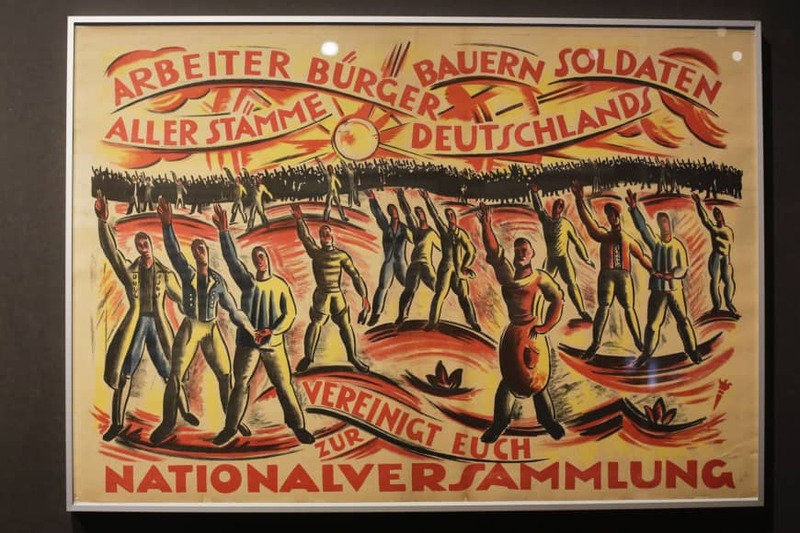 Among the 250 items on display at the German Historical Museum in Berlin are campaign posters highlighting the political debates of the era, from the fight for secular education to a debate over the expropriation of Germany’s aristocracy. A startlingly modern kitchen reflects the efforts that the era’s designers made to accommodate the needs of working women and the worldwide influence of artistic and architectural trends like the Bauhaus movement . Radio recordings by prominent figures, including physicist Albert Einstein, reveal the buzz surrounding this new medium and the way it sped up the news cycle — for better and for worse. Advertisements for family planning (“Do not go blindly into marriage!”) and clips from 1920s films about gay and lesbian love affairs reflect the newfound confidence of a generation willing to challenge sexual norms. Like “Babylon Berlin,” a crime series set in the cabaret halls and back alleys of interwar Berlin, the Weimar exhibition hints at dark times to come. There are the military firearms finding their way onto the streets and fueling political strife that resulted in hundreds of political assassinations. There are also photographs of desperate men and women walking the streets with sandwich boards looking for work at a time when hyperinflation was rampant, food prices were skyrocketing and hunger was stalking middle-class families. But unlike many historical exhibitions in Germany, this one doesn’t dwell on the Nazis. “We didn’t just want to view Weimar from its ending,” said Simone Erpel, the show’s curator. Universal suffrage, the principle of gender equality, the establishment of works councils that gave employees a say in how their companies are run were all achievements the Weimar Republic can lay claim to, she said. The 1919 Weimar constitution — devised in the eponymous central German city at a time when Berlin was too rowdy for reasoned debate — also provided the foundations for the country’s successful post-World War II constitution. If the Weimar period offers any lesson for the present, it’s that democracy shouldn’t be taken for granted, said Raphael Gross, the director of the German Historical Museum. And while democracy means majority rule, a willingness to seek compromise is essential for it to truly serve all and avoid sliding into a popular dictatorship, he said. “Part of democracy is being aware that however much one is convinced of one’s own position, nobody can be as confident of the truth as if they were God,” he said.